Have you ever wished you could completely customize your own apartment? Well, these folks can. Each apartment owner in this tower in Vijayawada, India can choose their own prefabricated module from a catalog, which can then be inserted into the building's framework, kind of like building a real-life LEGO sky-rise. 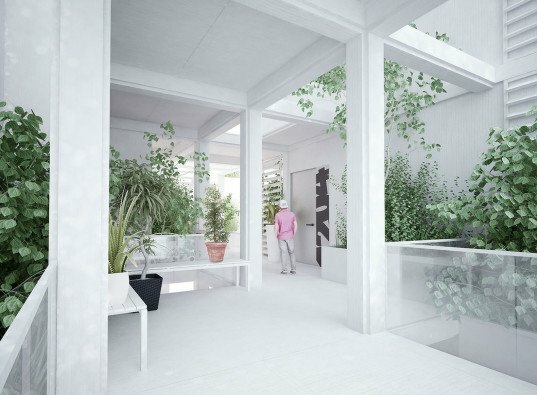 This highly customizable project, designed by Beijing-based architecture studio Penda, allows residents to decide on the type of plants, floors and facade elements they want to include in their homes. The tower also features a gray water management system, rainwater collection, natural ventilation and lots of greenery. The architects created a framework that can be filled with the chosen configuration, which is fabricated off-site and then inserted into the structure. Indian residential developer Pooja Crafted Homes commissioned Penda to design the Vijayawada Garden Estate so to allow residents to personalize their homes. The building is meant to be located on a corner plot near the Krishna River, and will provide fantastic views of the surroundings. The architects found inspiration in their previous project-a small storage space designed for a Beijing cafe-and decided that the only constant elements in the building should be the structural grid and the infrastructure. All other components can be fully customized thanks to the use of prefabricated modules. Large amounts of vegetation will populate the terraces and will be irrigated using rainwater. Optimal configuration of modules will facilitate natural ventilation, while the plants will help preserve fresh air and the natural appearance of the high-rise. Indian residential developer Pooja Crafted Homes commissioned Penda to design the Vijayawada Garden Estate to allow residents to personalize their homes. The building is meant to be located on a corner plot near the Krishna River, and will provide fantastic views of the surroundings. The architects found inspiration in their previous project-a small storage space designed for a Beijing cafe-and decided that the only constant elements in the building should be the structural grid and the infrastructure. All other components can be fully customized thanks to the use of prefabricated modules. Large amounts of vegetation will populate the terraces and will be irrigated using rainwater. 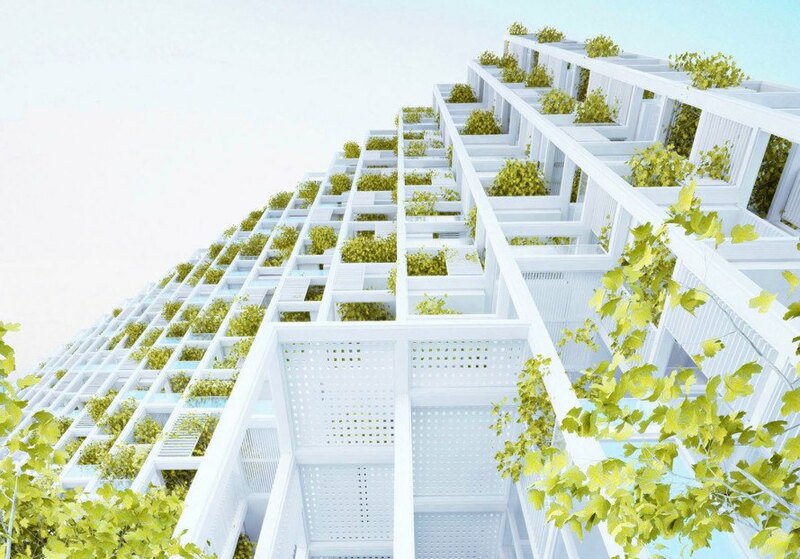 Optimal configuration of modules will facilitate natural ventilation, while the plants will help preserve fresh air and the natural appearance of the high-rise.